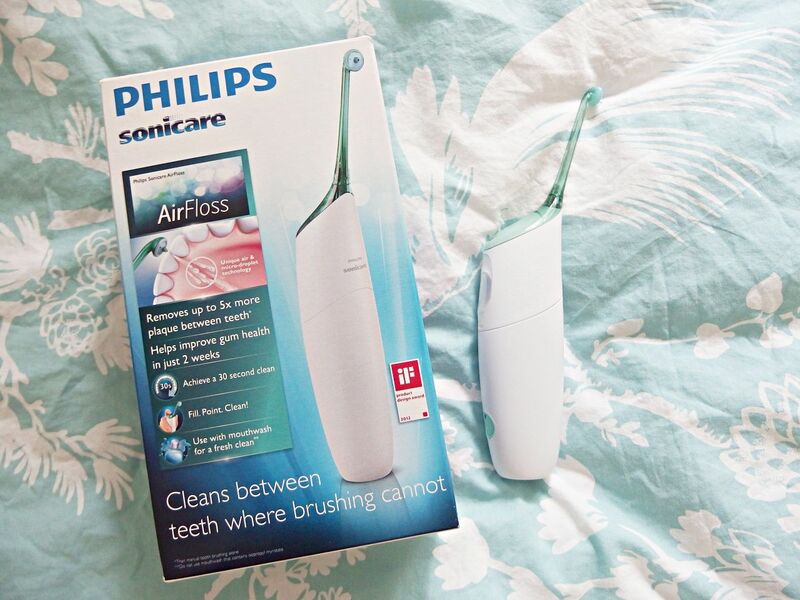 Philips Sonicare Airfloss Review - Will It Floss In 30 Seconds? 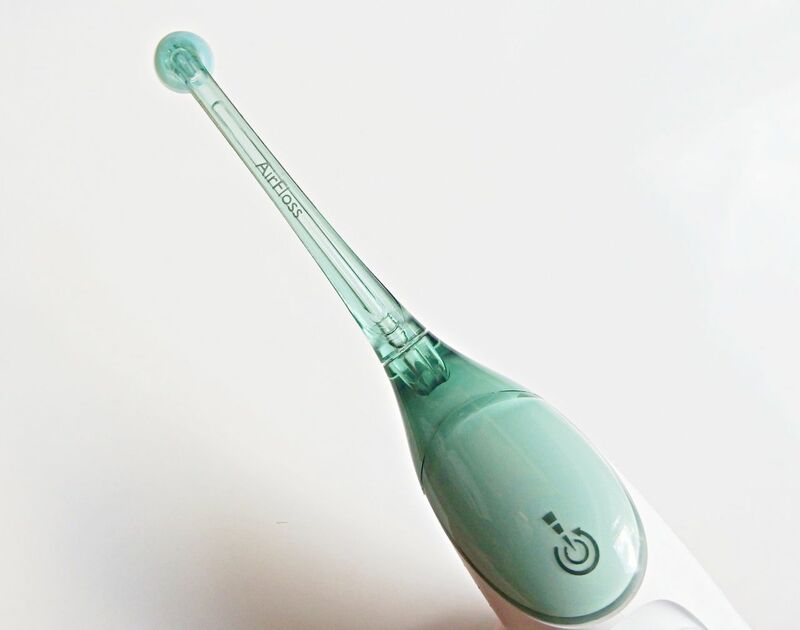 Today’s beauty review is a little different in that it’s more of a health gadget and what a nifty little gadget this is! It has a detachable head where the bursts of water/air comes through from and this is very easy to fill up using the reservoir. You can use water or mouthwash, I have been using mouthwash as it feels like a fresher clean,after trying out both.If you do be sure to use a mouthwash that is non alcohol based. Once you’ve filled it up you just press the button and the bottom to turn it on and then press the activation button near the head about six times to activate it. You will feel a burst of the mouthwash come through the head and you are ready to get started. 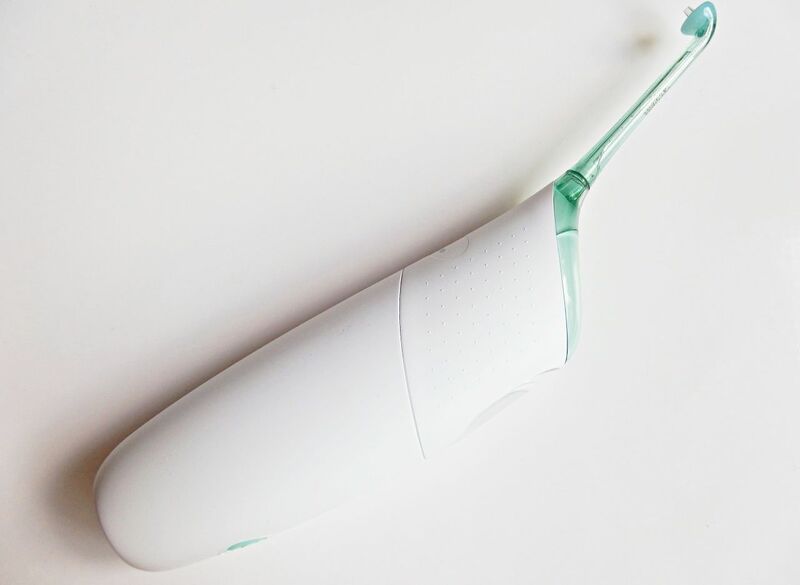 To floss all you need to do is place the guidance tip between your teeth at the gum line, close lips around the nozzle to avoid any unwanted spray going all over your face and then press the activation button. I found this really easy to do and then just repeated it around my mouth. 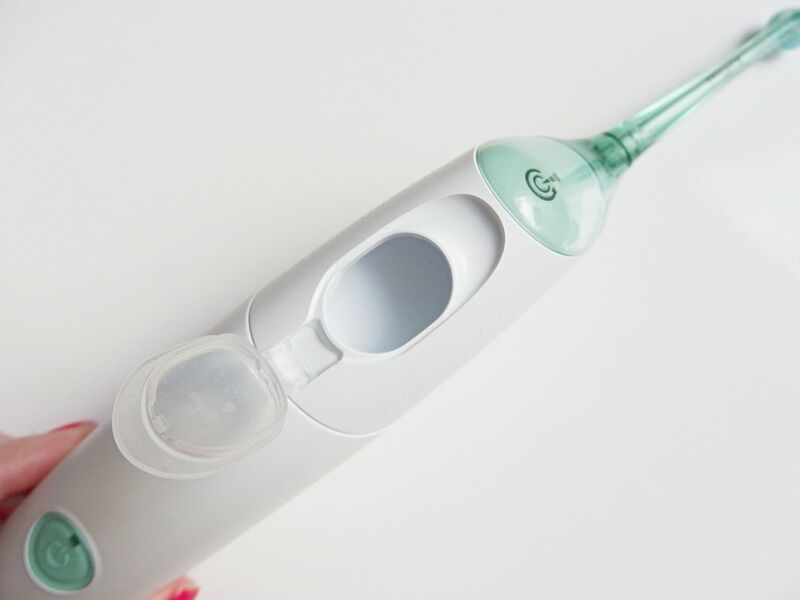 It is really quick and easy and it states you can do it in under 30 seconds which I was definitely able to do my whole mouth in this time. I think this is a really effective way to floss and kind of fun at the same time too! I used to hate using floss so this has proved much quicker and easier. It comes with a rechargeable battery built-in so you just need to charge it up say every 14 days. It is priced at £99.99 and is available to buy at Boots. Watch the Philips video for some extra tips on how to use it! As a dental student, I’m glad to see that people are finding things like these to aid with their dental health. I haven’t tried using an airfloss myself (I use the old school floss) but I’ll be surely getting one in the future. How much did you happen to get this product? Thanks! I brought a Phillips Sonicare Airfloss just after Christmas 2015 and charged the unit for the required 24hours and commenced using on a daily basis. I have problems with plaque and tartar build up due to the medication I take and when I had my Hygienist check up on 18 February 2016 was told that my gums showed a healthy improvement. However, around this time the unit stopped working as it should, after some 15 seconds of use it would not squirt the liquid from the reservoir. I kept recharging the unit but it became very intermittent in its functionality. I had kept the receipt and returned the unit back to Boots chemist who exchanged the Airfloss for a new device on or around the 20 February 2016. This unit was also charged for the requested 24 hours but after working fine for some two weeks this unit has now gone down the same route. 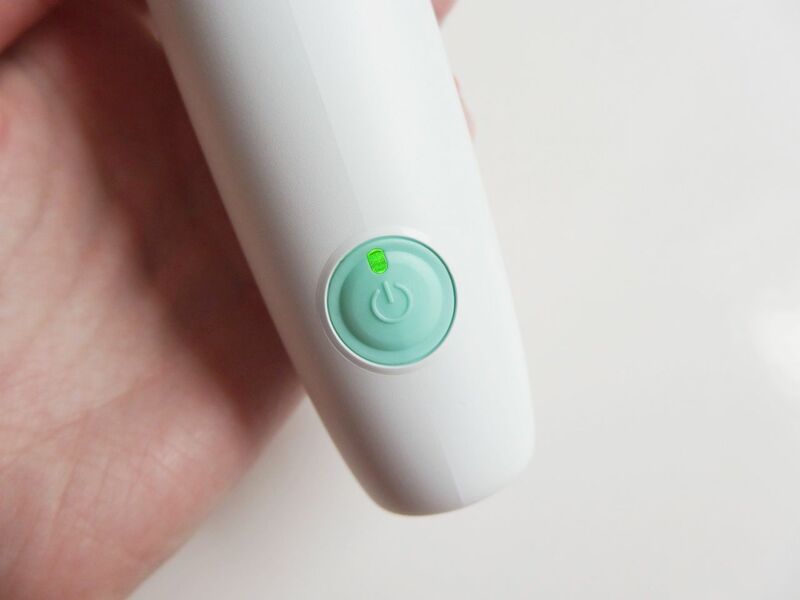 The Airfloss shows three green lights when turned on for use but almost straight away there does not appear to be sufficient power to work. The unit makes a slight noise of the motor working but no air/water is pumped from the device and the three green lights dim down as if it is not charged.